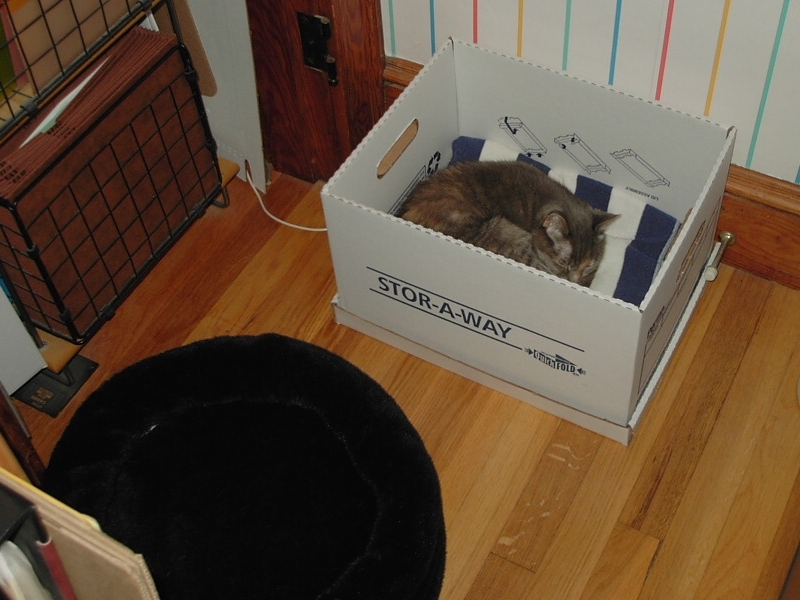 We've shown Emily in her bed prior to its move up to Katherine's office. Now the great storage reorganization has offered her too a better place to hang out as well. We have no idea why she switched from the bed, but we went with the flow and added the blue & white towel so she would be more comfortable.